Smart phones. Smart phones with huge screens (tablets). Semi-smart watches that connect to your smart phone. Application-aware car stereos that link to your smart phone. TVs that run smart phone applications. We are well into era of "smart devices". The shrinking of PCs into uber-portable devices has already changed much of the computing game but, despite ever-improving hardware and software, certain hurdles persist: processing power, battery life, device security and, in the case of Android app vendors, Herculean efforts to support a seriously disparate mix of end user hardware. Improvements have been only incremental at best -- a serious change is needed to do away with the hurdles. iOS versus Android -- which is superior? That's a highly debateable topic. What is not debateable is the value inherent in Apple's comparative lack of hardware choices: consistency. Apple can update iOS with a high degree of confidence regarding how well the update will work across existing iOS devices. App vendors can release an app for a specific version of iOS with a high degree of confidence about how the app will perform. Android can't come close to the consistency of operation enjoyed by iOS devices. Compared to Android, iOS offers users far fewer choices in hardware and far fewer choices in how to configure that hardware. In return, though, iOS delivers a far more consistent experience than Android. The consistent iOS experience is a direct result of the comparative lack of choice. If you are a business that depends on consistent operations, you depend on your devices and software to perform in a consistent manner. It's no wonder that, despite Android's 75% worldwide market share, iOS continues to enjoy the highest adoption rates in the enterprise. Less choice can be beneficial. Fewer options can be desirable. Carried out to the extreme we might infer that no choice and no options may sometimes be best. When it comes to end user computing hardware, we have an excellent example of just such a device: the dumb terminal. When mainframes and VT terminals ruled the day the end user side of things (the VT) was easy: Connect power, connect network, turn it on and go. Simple. Cell phones began life as dumb terminals -- they provided a connection to the landline phone network and little else. Over time cell phones gained features until they became the smart devices we know today. Everything old is new again. In the late 1990's remote desktop features reinvigorated the old mainframe/dumb terminal approach. In the 2000's remote VMs boosted the mainframe/terminal approach yet again. I predict the next big mainframe/terminal push will appear in the form of mobile devices: the smart will go dumb. Less CPU "umpf" is needed to only provide terminal services. Low end CPUs require less power... ergo, longer battery life. With fewer functions to be delivered terminal devices inherently exhibit a smaller attack surface than more complex devices. A terminal should not care a bit about the system(s) it connects to as long as terminal interface requirements are met. As such, a wide range of end user hardware should be able to readily interface with a wide range of SaaS-based applications. There is still a burden placed on app developers to support a wide range of display resolutions and various interface options (keyboard, touch, voice, etc) but the scope of that support is limited to satisfying the terminal software specification rather than the individual demands of hundreds of different end user devices. Don't care about apps? Don't use them. Your battery could last for days and days if it has no need to regularly connect to the cloud. And consider: no matter what mobile terminal hardware (phone) you use, those apps will still be at your disposal for the odd situation when a certain app is really needed. Greatly reduce the need for local processing and all the battery power that goes with it and you enable manufactures to create much smaller devices. Imagine Google Glass completely embedded within the frames of your average pair of eyeglasses (ok - maybe only down to those thick hipster frames, but still). The big mobile device hardware manufactures pay serious attention to branding and delivering a unique user experience. They have to when every device features the same official Twitter, Facebook and Angry Birds apps. iOS has its UI, Windows Phone has its UI, BlackBerry yet another and Android has countless variations depending on phone manufacturer (or custom mod). All hope to snare long-term customers via users becoming comfortable with a particular manufacturer's interface. An embrace of mobile terminal devices would serve to continue the "distinction by UI" trend and bring it even more to the forefront. 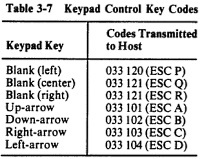 Perhaps Samsung would differentiate itself by providing superior eye-movement controls (translated into standard terminal inputs such as touch or keypresses). Perhaps HTC would distinguish its user experience by adding superior haptic feedback on HTC terminals. Perhaps Motorola would reemerge as a popular choice by going minimalist and simply delivering beautiful, impossibly thin devices. Dumbing down the device doesn't have to mean dumbing down the interface. Hardware makers would be free to distinguish themselves on the merits of the hardware without worry over supporting every new OS release (or drawing customers' ire by not supporting every new OS release). We already have plenty of great smart devices to chose from. The enterprise prefers devices that are consistent, dependable, secure and easily managed. It should only be a matter of time, then, before we see serious attempts to provide business-friendly mobile terminals -- "dumb devices". Given the advantages of "dumb terminals" in the enterprise, reduced size and power requirements for all users and a continued shift to SaaS on both the business and consumer fronts, mobile dumb terminals would appear to be an old idea just waiting to happen. Again.